The last few weeks have been kind of big for the Animation & VFX industry. Last week were the VES Awards and the week prior were the Annie Awards. The VES Awards as described on their website "The VES Awards recognizes and honors the most outstanding visual effects work of the year and honors the artists who created them." 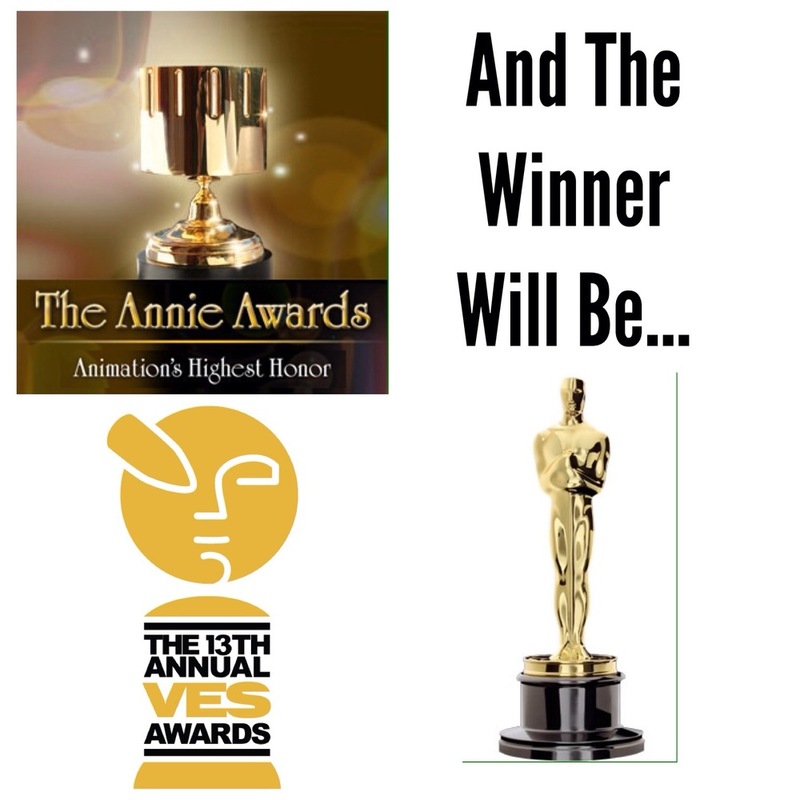 The Annie's are The Annie's are (also as stated on their website) "The Annie Awards is animation's highest honor, and to see the art form at it's best, we invite you to look around and see a part of history in picture and stories." Big Hero 6 was the main winner from the VES Awards taking home awards for Outstanding Animation in an Animated Feature Motion Picture, Outstanding Performance of an Animated Character in an Animated Feature Motion Picture, Outstanding Performance of an Animated Character in an Animated Feature Motion Picture and Outstanding Created Environment in an Animated Feature Motion Picture. There was a bit more variety in the Annie Awards winners; were How to Train Your Dragon 2 for Best Animated Feature, The Boxtrolls for Outstanding Achievement, Production Design in an Animated Feature Production. Even though I won't be able to watch the awards this year ( yay part time jobs!) I'm going to be looking out for Twitter to erupt for the Animation & VFX categories.